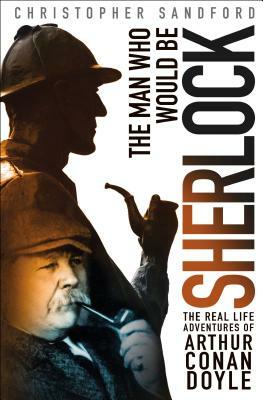 Seattle writer Christopher Sandford, author of Masters of Mystery: The Strange Friendship of Arthur Conan Doyle and Harry Houdini, returns to explore more aspects of Conan Doyle’s life in a new book, The Man Who Would Be Sherlock: The Real-Life Adventures of Arthur Conan Doyle (Thomas Dunn). Though best known for the fictional cases of his creation Sherlock Holmes, Conan Doyle was involved in dozens of real life cases, solving many, and zealously campaigning for justice in all. Christopher Stanford makes the case that the details of the many events Doyle was involved in, and caricatures of those involved, would provide Conan Doyle the fodder for many of the adventures of the violin-playing detective.